Can't wait for winter? Experience the thrill of skiing two months early! 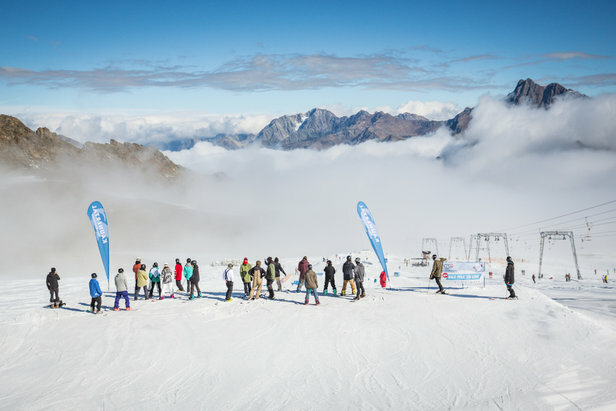 Check out early-season skiing at one of Europe's glacier launch parties and find out where's open for skiing right now! What better way to spend the October half term holidays than carving up the ski slopes two months early? 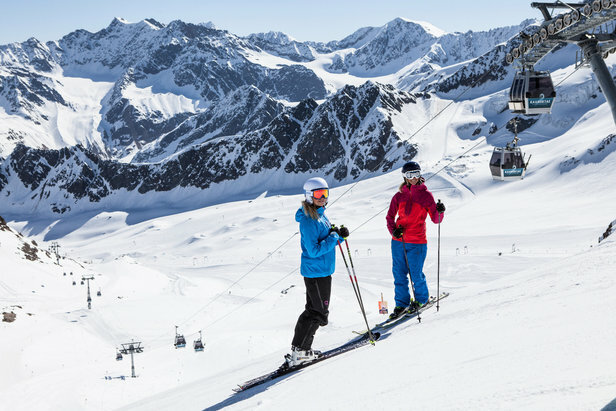 Head to one of Europe's high-altitude ski areas and enjoy discounted lift tickets, glacier parties, mountaintop BBQs and free 2019 gear testing. Tignes - Postponed until early Oct: As always Tignes will be the first French ski resort to welcome the new season's skiers. 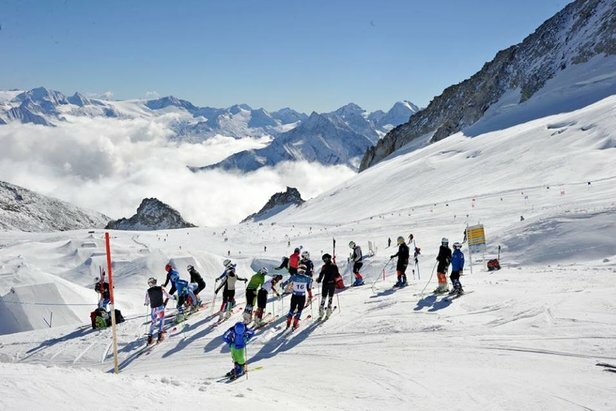 The Grande Motte Glacier is one of the steepest glaciers around (perfect for the speed skiing, slalom and downhill teams) and it has optimum snow conditions. Hit the slopes of the Grande Motte Glacier alongside some of the world's greatest athletes. A day's skiing is available at the discounted rate of €33 adults (€198 6 days). After a day on the mountain enjoy free access to the swimming pool lagoon (with a valid 2-day lift pass). The Espace Killy Ski area shared with neighbouring Val d'Isere opens Nov. 24. Les 2 Alpes opens 26/10: To celebrate the new ski season Les 2 Alpes will host its annual Enjoy the Glacier weekend (Oct. 26-28). Hit the slopes before anyone else and test the latest equipment from leading ski gear brands for €26 a day. The event kicks off the winter season in style with BBQs, film previews, live concerts and competitions. Hintertux Glacier - Open! 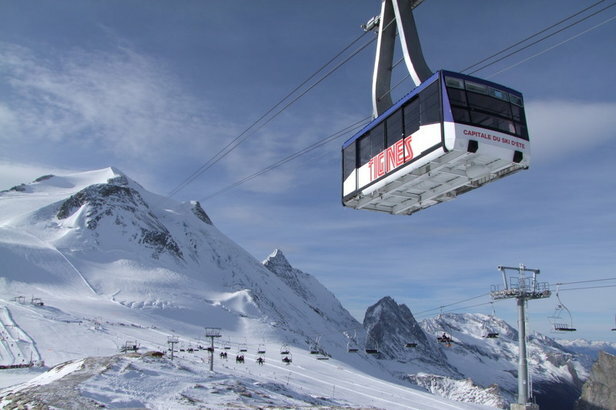 The Hintertux (0-75cm) is running 11/20 lifts and has 18/60 ski slopes open for €45 a day (€53 after Oct. 13). The glacier has variable conditions but has received a good 40cm in the last two weeks. The official opening of the terrain park will be marked by the annual "hotzone.tv Park Opening" Oct. 4-7. 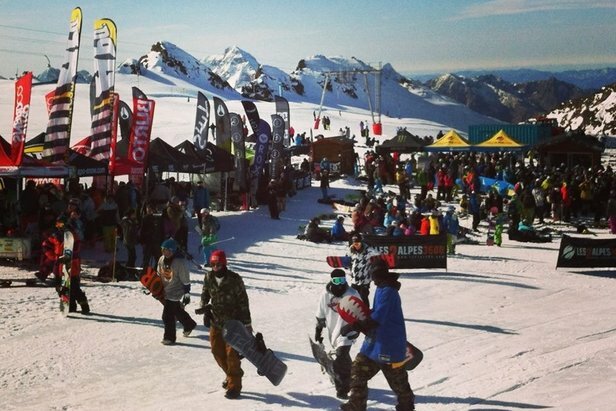 Snowboarders can test equipment for free, cheer on contests in the Betterpark and enjoy athe BBQ at the Tuxer Ferner Haus. In the evenings you have a choice of parties. Moelltal Glacier - Open! The Moelltal (0-80cm) currently has 3/9 lifts running with one open run. Conditions are varilable and 50cm of snow has been reported in the last two weeks. Day tickets cost €47 oer adult. International ski teams flock to these snowsure, sunny slopes. Nov. 10-11 marks the official opening of the glacier and although the exact programme hasn't been published yet, you can expect parties-a-plenty. 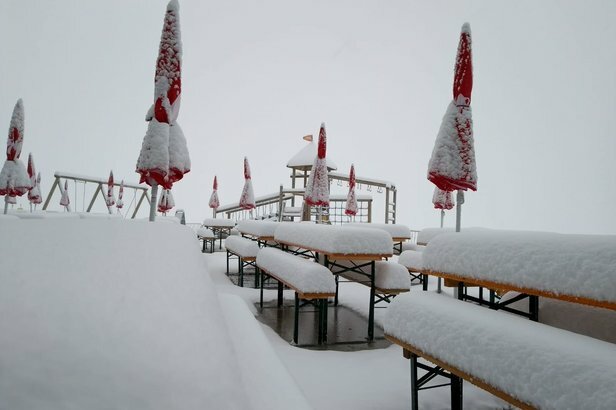 Stubai Glacier opens 13/10: Skiing may well start earlier than the 13th (we're getting daily updates) but the official season opening is October 13-14 with the "Weisse Wies'n" Ski Beer Festival. Expect typical Bavarian lederhosen and dirndl dresses, live music and beer tasting at 2900m. The following weekend (Oct. 19-21), the Fun Park Stubai Zoo will be opening its doors for the "Stubai Premiere Snowpark Opening" with contests, celebrations and coachings. The Brand Saloon will feature the latest equipment for free testing. Don't miss the parties Saturday evening in Neustift. Daily ski passes cost €48 per adult. Pitztal Glacier opens 15/9: Skiing opens this weekend but the official Glacier Ski Show 2018 takes place the weekend after (Sept. 20-21) with free equipment testing, a live mountain concert, cocktails at 3440m, an air show and fireworks. Ski pass prices start at €42 per adult from Sept 15 to Oct. 5 (€51 after this). Soelden opens 22/9: Skiing starts as early as Sept. 22 and the World Cup Party takes place on the Rettenbach Oct. 26-28. Kaunertal Glacier 29/9: The official Kaunertal opening takes place Oct. 12-14. This year Kaunertal is opening a completely new park with 800m long half mile jib line 3.0, new side events and a new location. Come watch or join in with the amateur and pro contests. In the evening head to the party tent for the After Ride BBQ and international DJs. A day ticket costs €41. Kitzsteinhorn-Kaprun 1/10: The "WOW Glacier Love" festival takes place Nov. 2-4 with freestyle competitions, DJ stars and live acts to transform the glacier into a party for the fifth time. A day's ski pass costs €50 until Nov. 29. Passo Stelvio - Open! With 20-200cm of snow and packed powder conditions, it currently has some of the best skiing in Europe. All six of its lifts and slopes are open. The glacier has welcomed 10cm of snow in the last two weeks, keeping conditions fresh. A day's lift ticket costs €45. Saas-Fee - Open! Reporting hard-packed conditions (no snow has fallen in the last two weeks) but 180cm depth is reported on the glacier. It is currently running 11/22 lifts and 15/100km slopes are open. A day's pass is €45. Zermatt - Open! Has spring snow conditions and no new snow in the last two weeks. It has 18/52 lifts and 14/322km slopes open. A day's pass is €45.